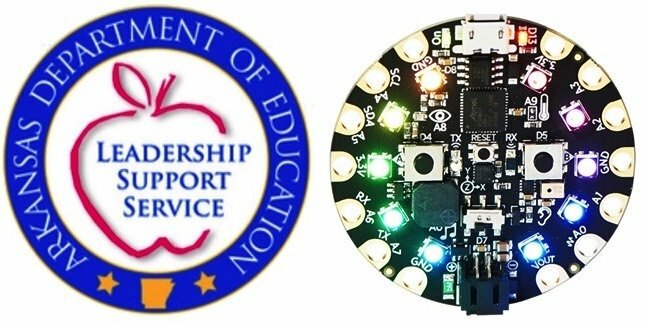 Arkansas Department of Education + CircuitPlayground Express @ArkansasEd @adafruit « Adafruit Industries – Makers, hackers, artists, designers and engineers! LITTLE ROCK — The Arkansas Department of Education’s reading and computer science initiatives are joining forces again to provide coding devices and computer science-related books to teachers and public school libraries around the state. Libraries that serve students in kindergarten through fifth grade will receive a copy of If I Were a Wizard by Paul C. Hamilton. Up to 400 Adafruit Circuit Playground devices will be provided to teachers around the state. The devices, equipped with sensors, LED lights, and a circuit board, will give students the opportunity to practice computer programming skills. During Computer Science Education Week in 2017, ADE announced that its Reading Initiative for Student Excellence, or R.I.S.E. Arkansas campaign, and the Computer Science Initiative would team up to promote computer science as well as build a culture of reading in 2018. As a result, approximately 900 kindergarten through eighth-grade public school libraries received coding-related books and a Micro:Bit coding device. To be eligible to receive the devices, Arkansas public school educators must attend an ADE Office of Computer Science-approved training about the device. Arkansas computer science specialists will conduct trainings at every education service cooperative. A list of approved sessions with registration links will be posted at https://goo.gl/Lp9A87. While the trainings are free, space is limited. To learn more, see http://adecm.arkansas.gov/ViewApprovedMemo.aspx?Id=3844. For a full listing of Arkansas announcements, please visit the newly-redesigned ADE Computer Science webpages.